The founders of Skype are not happy with its parent company. A company owned by the founders of Skype has filed a copyright infringement suit against the Internet phone service and parent eBay Inc. — an action that could crimp eBay's plans to sell Skype for about $2 billion to a group of private investors. Joltid Ltd., owned by Skype founders Janus Friis and Niklas Zennstrom, filed the suit in the U.S. District Court of Northern California. The complaint alleges Skype violated an agreement over the use of critical peer-to-peer communication technology that Skype licenses from Joltid for use in its software, which routes phone calls over the Web. In addition to Skype and eBay, the lawsuit ratchets up the stakes by also naming as defendants all of the private investors who have agreed to buy Skype. The group includes Web browser pioneer and eBay board member Marc Andreessen and former Skype board members Danny Rimer and Mike Volpi, among others. Joltid is seeking an injunction on Skype's use of the technology as well as damages it estimates could amount to more than $75 million per day. Friis and Zennstrom sold Skype to eBay for $2.6 billion in 2005 and left the company in 2007. Joltid and Skype have since been involved in a licensing dispute over use of the technology, called global index software. The latest lawsuit comes about six months after Skype asked the English High Court of Justice in London to find that Joltid's efforts to end their licensing deal were invalid and that Skype was not breaching their licensing agreement. In a counterclaim, Joltid alleged Skype broke their licensing agreement. It has claimed Skype acquired unauthorized versions of the technology's source code, modified it and disclosed the source code to third parties. 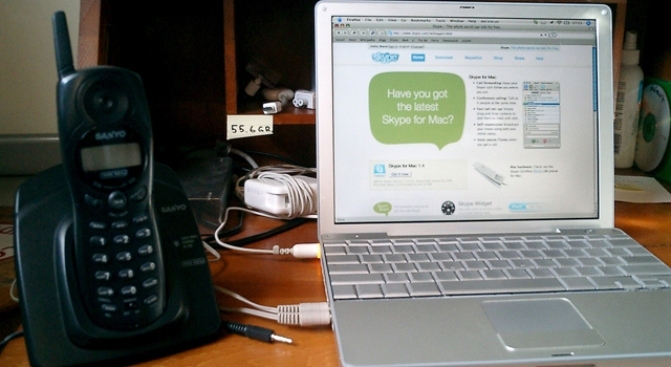 It terminated Skype's license agreement, but says Skype has continued to use the technology. A trial on the U.K. claims is currently set for next June. Joltid spokesman Tim Robertson said in a statement Wednesday that the company will "vigorously enforce its copyrights and other intellectual property rights in all of the technologies it has innovated." San Jose, Calif.-based online marketplace operator EBay has said it is developing software that may be used to keep running Skype if it can't resolve the dispute with Joltid. In a statement, eBay spokesman John Pluhowski said that Joltid's allegations and claims "are without merit" and are "founded on fundamental legal and factual errors." He added that eBay is still on track to complete the sale of Skype during the fourth quarter. But in a Sept. 1 regulatory filing, eBay has acknowledged that the transaction's closing depends upon the investor group agreeing to the terms of any settlement with Joltid. It also is contingent upon no change or development taking place that would materially hurt Skype's business. Despite posting strong growth — Skype's revenue rose 25 percent to $170 million in the second quarter — eBay's history with the company has been rocky. EBay ended up taking a $900 million write-down on Skype in 2007, basically acknowledging it had significantly overvalued it. EBay earlier this month said that rather than spin off the company through a public stock offering, it would sell 65 percent of Skype to a group of private investment funds for $1.9 billion in cash and $125 million to be paid later. EBay will own the other 35 percent. Shares of eBay closed earlier up 18 cents at $24.32.